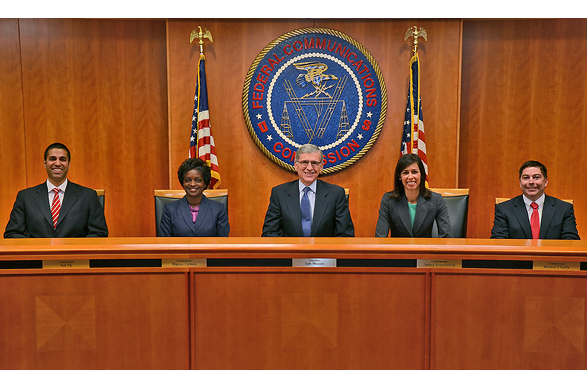 FCC Chairman Tom Wheeler stated "There are three simple keys to our broadband future. Broadband networks must be fast. Broadband networks must be fair Broadband networks must be open. We know from the history of previous networks that both human nature and economic opportunism act to encourage network owners to become gatekeepers that prioritize their interests above the interests of their users. As the D.C. Circuit observed in the Verizon decision and as the public record affirms, broadband providers have both the economic incentive and the technological capability to abuse their gatekeeper position. Our challenge is to achieve two equally important goals: ensure incentives for private investment in broadband infrastructure so the U.S. has world-leading networks and ensure that those networks are fast, fair, and open for all Americans. The Open Internet Order achieves those goals, giving consumers, innovators, and entrepreneurs the protections they deserve, while providing certainty for broadband providers and the online marketplace." Writing in dissent, FCC Commissioner Ajit Pai stated "It shouldn’t be this way. For twenty years, there’s been a bipartisan consensus in favor of a free and open Internet. A Republican Congress and a Democratic President enshrined in the Telecommunications Act of 1996 the principle that the Internet should be a “vibrant and competitive free market . . . unfettered by Federal or State regulation.” And dating back to the Clinton Administration, every FCC Chairman—Republican and Democrat—has let the Internet grow free from utility-style regulation. The results speak for themselves. But today, the FCC abandons those policies. It reclassifies broadband Internet access service as a Title II telecommunications service. It seizes unilateral authority to regulate Internet conduct, to direct where Internet service providers (ISPs) make their investments, and to determine what service plans will be available to the American public. This is not only a radical departure from the bipartisan, market-oriented policies that have served us so well for the last two decades. It is also an about-face from the proposals the FCC made just last May... In short, because this Order imposes intrusive government regulations that won’t work to solve a problem that doesn’t exist using legal authority the FCC doesn’t have, I dissent." The text of the Open Internet Order has not yet been published. The FCC said they hope to release it to the public shortly. 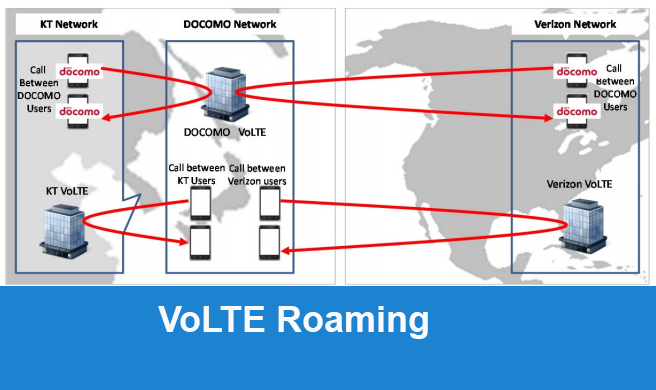 NTT DOCOMO, KT and Verizon Wireless have successfully verified the feasibility of international voice-over-LTE (VoLTE) roaming between different regions of the world. The carriers have completed a series of tests using S8 Home Routed (S8HR) architecture, a technology based on the existing LTE data roaming platform, which allows speedy commercialization of VoLTE for high-definition voice and video roaming services with full end-to-end carrier-grade voice and video quality. DOCOMO said it is now prepared to offer its customers the same VoLTE experiences they have in Japan when traveling to other countries. DOCOMO will continue to collaborate with these and other companies in the GSMA to drive the industry's ongoing discussion of international VoLTE roaming architecture, and to develop related operational guidelines aiming at the accelerated global deployment as part of the GSMA's Network 2020 Programme. DOCOMO will continue to carry out related R&D as it prepares to commercialize international VoLTE roaming services by the end of 2015. The FCC voted to preempt state law in North Carolina and Tennessee that restrict or ban municipalities from expanding broadband service outside their current footprints despite numerous requests from neighboring unserved and underserved communities. The FCC noted that it acted on behalf of the Electric Power Board (EBP), a community broadband provider in Chattanooga, Tennessee, and the City of Wilson, North Carolina.In addition to providing electric service, both operate broadband networks providing Gigabit-per-second broadband, voice, and video service.The networks in both areas have attracted major employers, including Amazon and Volkswagen in Chattanooga, and Exodus FX, Regency Interactive, and WHIG TV in Wilson. Wilson’s system also provides free Wi-Fi downtown.Tennessee law allows municipal electric systems like EPB to provide telecommunications services anywhere in the state, but limits provision of Internet and cable services to the electrical system footprint. In North Carolina, a 2011 law imposed numerous conditions that effectively precluded Wilson from expanding broadband into neighboring counties, even if requested. One condition, for example, restricted expansion into areas where the private sector delivers service at speeds as slow as 768 kbps in the faster direction – an archaic standard that fails to support modern needs and is a fraction of the FCC’s 25/3 Mbps benchmark. 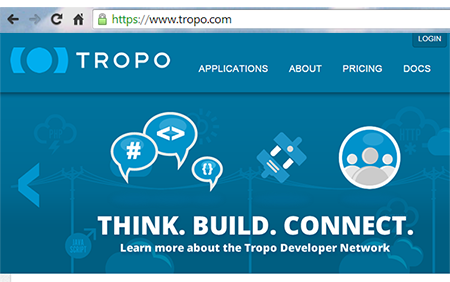 Tropo, a start-up based in Menlo Park, California, rolled out its platform to enable telcos and 3rd party developers to rapidly integrate traditional communications with popular cloud services and enterprise workflows. Tropo, which worked with Apcera and IBM’s SoftLayer to develop its platform, said these capabilities will put Service Providers at the center of a growing ecosystem of developer tools and cloud services. Tropo Connect enables web apps and Internet-of-Things (IoT) devices to interact with live phone calls and text conversations. For example, a sales productivity app could respond to a subscriber’s phone calls and extract keywords using advanced speech recognition technology to automatically generate contextual notes in their Customer Relationship Management System (CRM). By allowing web platforms like SalesForce.com to participate in the calling experience, a new market for enhanced services is created, unlocking massive revenue streams for services providers and their partners. The Tropo Platform is deployed within the networks of several Tier 1 operators, such as AT&;T, China Telecom, Deutsche Telekom, NTT and Vodafone. Trop is now offering this platform as afully managed turnkey infrastructure. Qualcomm outlined its roadmap for extending LTE to unlicensed spectrum (LTE-U). Qualcomm expects LTE-U in the 5 GHz band to offer twice the capacity and range compared to traditional Wi-Fi. The company expects mobile operators to anchor their data services in licensed spectrum bands and use the unlicensed spectrum when available to burst to higher downlink rates. The first step is integrating LTE-U into a small cell SoC to expand capacity and seamlessly extend LTE networks. Qualcomm will do so with its FSM99xx, a family of small cell SoCs, that will ship in the second half of 2015. These small cell chipsets will integrate 3G/4G as well as Qualcomm's VIVE™ 802.11ac/n Wi-Fi. For markets with a requirement for "network listen" mode in the 5 GHz bands, Qualcomm is announcing its FTR8950 dedicated RF solution for small cells. This small cell RF transceiver is a successor to the FTR8900 RFIC and supports features such as digital pre-distortion and dedicated network listen. For mobile devices, Qualcomm is announcing the WTR3950 dedicated RF solution for LTE-U operation in unlicensed 5 GHz bands. The WTR3950 extends the company's RF product leadership in LTE Advanced, which is based on successful commercialization of single-chip RF transceivers for LTE carrier aggregation. The WTR3950 pairs with the WTR3925, the first 28 nm RF for single chip Cat 6 carrier aggregation, to support up to 3x20 MHz carrier aggregation across licensed and unlicensed spectrum. The WTR3950 can also support up to 40 MHz intra-band contiguous carrier aggregation in the 5 GHz bands. This is expected to sample in the second half of 2015. Qualcomm also announced that it successfully completed over-the-air testing to prove co-existence between multiple LTE-U and Wi-Fi access points in the unlicensed spectrum under extreme load conditions. Qualcomm Technologies will showcase its new solutions with a number of LTE-U demonstrations at Mobile World Congress, March 2-5 in Barcelona, Spain. 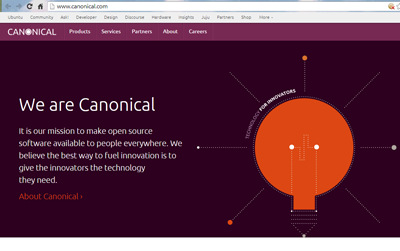 Juniper Networks and Canonical, the leading provider of services for Ubuntu deployments in the enterprise, are co-developing a carrier-grade, OpenStack software solution that will enable service providers to virtualize core networks and network functions for increased performance, scale and reliability. Juniper will also provide complete service support for Canonical’s Ubuntu Server operating system (OS) and Ubuntu OpenStack as part of Juniper Networks Contrail Cloud. The companies said they will coordinate product development, engineering, marketing and upstream contributions to continue to expand an open and functioning OpenStack ecosystem for service providers to deliver cloud and NFV solutions. As part of the joint agreement, Juniper Networks and Canonical will work with customers to incorporate service provider requirements into OpenStack, NFV and SDN open source projects. “Juniper Networks firmly believes that open source and open standards will continue to drive greater levels of innovation and is pleased to partner with Canonical to help drive faster adoption of the cloud for telecommunication organizations. Our jointly developed converged Ubuntu and Juniper OpenStack solution will help deliver greater performance, scalability and reliability at lower costs,” stated Ankur Singla, corporate vice president and general manager, cloud software, Juniper Networks. “Juniper and Canonical are leading the OpenStack innovation agenda by jointly developing a virtualization solution that will help service providers accelerate cloud deployments for greater agility. Juniper’s Contrail addresses the carrier-class issues of virtualized environments and accelerates elastic service delivery across multi-tenant, hybrid cloud OpenStack deployments across a multi-vendor ecosystem. By combining Juniper’s open network solutions and leadership in the telecommunications industry with Canonical’s leadership in OpenStack and scale-out open source, we will jointly be able to deliver cloud solutions that enable carriers to meet their network modernization challenges,” said John Zannos, vice president, cloud channels and alliances, Canonical. ARM outlined its vision for an Intelligent Flexible Cloud (IFC) environment to meet the latency, power and size constraints for next-generation networks. ARM's IFM promises to bring together system-on-chips with heterogeneous compute capabilities supported by a common layer of enabling software and distributed network intelligence. The company's idea is to build on SDN and NFV with a distributed intelligence that enables applications to move out in the network to where data resides for a significant reduction in power consumption and increased responsiveness. Partners include AppliedMicro, Cavium, Enea, EZchip, Linaro, Marvell and Xilinx. 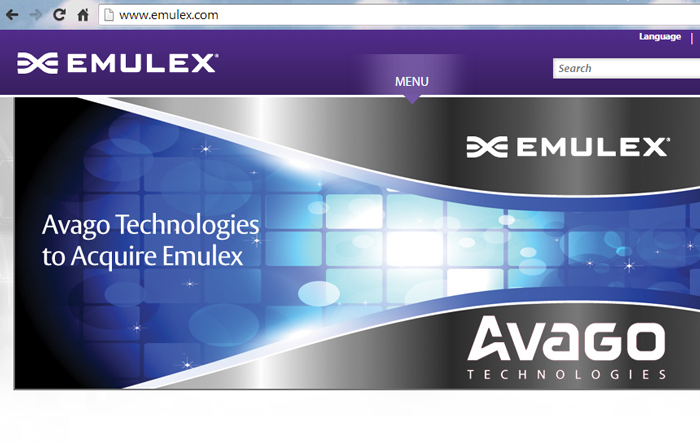 Avago Technologies agreed to acquire Emulex Corporation (NYSE:ELX) for approximately $606 million in cash. Emulex, which is based in Costa Mesa, California, is a supplier of network connectivity, monitoring and management solutions. The Emulex portfolio includes Fibre Channel and 10GbE network connectivity that are designed into server and storage solutions from leading OEMs and ODMs worldwide. Through its Endace division, Emulex supplies network monitoring/visibility/recording. In 2014, Avago acquired LSI Corporation in a deal valued at $6.6 billion. Aruba Networks reported record revenue of $212.9 million for its Q2'15, up 21 percent from the $176.4 million reported in Q2’14. GAAP net income for Q2’15 was $5.7 million, or $0.05 per diluted share, compared with a GAAP net loss of $10.7 million, or a loss of $0.10 per share, in Q2’14. Mavenir Systems reported revenue for Q4 2014 of $33.7 million, an increase of 24% year-over-year and a decrease of 1% quarter-over-quarter. GAAP operating loss for the fourth quarter of 2014 was $8.8 million, compared with $1.7 million in the fourth quarter of 2013 and $3.8 million in the third quarter of 2014. "Mavenir delivered another strong year with solid financial results, resulting from the rapid adoption of 4G LTE and the launches of services such as VoWi-Fi and VoLTE in 2014," said Pardeep Kohli, president and chief executive officer, Mavenir Systems. “We are well positioned to capitalize on 4G LTE adoption and NFV/SDN, two trends that will continue to be some of the key growth drivers for our business in 2015. In addition, Mavenir continues to build our capabilities in next-generation solutions to deliver growth and enhanced shareholder value."